Psychic Ann is a Certified and Licensed Reader, providing clients with professional guidance for over 45 years. You will be welcomed warmly and sincerely. Ann has felt a calling to do this type of work since childhood, and her goals are to help people, not to entertain them. She is very powerful and gifted. She has touched many people all around the world. Promising to provide each of her clients with understanding in a safe and non-judgmental environment. Your Personal Reading Awaits You! I will answer ONE FREE QUESTION by phone! Psychic Readings by Ann can provide hope and guidance. It can be difficult to go through your life unsure of your purpose, fearful, and without someone in your life to love and support you. By combining her natural psychic gifts along with her years of experience, Ann offers her clients an experience like no other. If you are uncertain about your future, or need advice about love & relationships, or to restore your inner peace, Ann can effectively open the window into your life in a variety of ways. Promoting confidence, emotional peace, direction, successful relationships, Aura cleansing, Tarot card reading and Chakra Balancing. People are skeptics when it comes to psychic readings. Even they cannot help but feel something special that makes them wonder about things in life. Most people are frightened by the prospect of looking into one's future & use that knowledge in order to make the right decisions in life. Ann's readings are relaxed not frightening or strange. 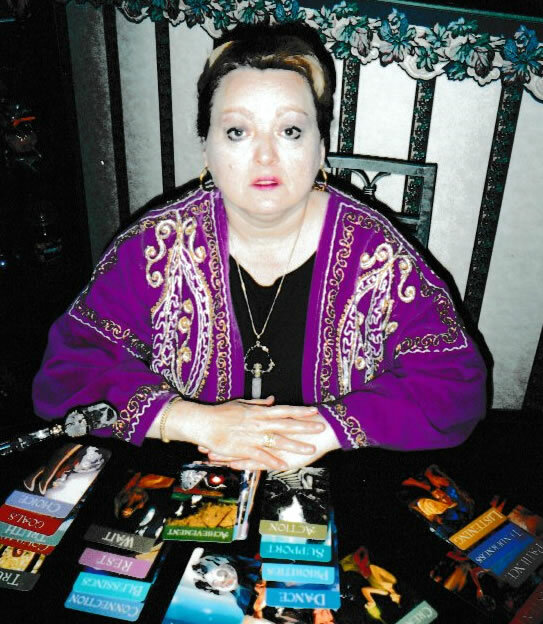 Psychic Ann is a Certified and Licensed Reader, providing clients with professional guidance for over 45 years. You will be welcomed warmly and sincerely. Ann has felt a calling to do this type of work since childhood, and her goals are to help people, not to entertain them. She is very powerful and gifted. She has touched many people all around the world.